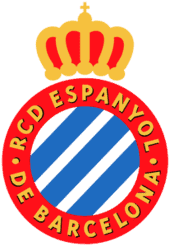 RCD Espanyol were founded on 28 October 1900 by Ángel Rodríguez, an engineering student at the Universitat de Barcelona. The club’s original home was a playing field close to the Sagrada Familia but it soon moved to the well-off district of Sarrià and was initially known as the Sociedad Española de Football. One year later, the club changed its name to “Club Español de Fútbol”. Espanyol were the first club in Spain to be formed exclusively by Catalan and Spanish fans of the game as opposed to expatriates who formed other clubs such as FC Barcelona and hence the club’s name marks its cultural identity. The club originally played in bright yellow shirts, with the colour of the shorts being left to the individual player. A friend of the club founder owned a textile business and happened to have an abundance of yellow material left over from a job. Perhaps this is why Espanyol are known as the Perikos, the budgies, but as they have played in blue and white played since 1910, the nickname probably came later. In 1906 the club folded due to financial reasons and most of the players joined the X Sporting Club. This club won the Campionat de Catalunya three times between 1906 and 1908. In 1909 this club was effectively relaunched as Club Deportivo Español. Espanyol are one of several Spanish football clubs granted patronage by the Spanish crown and thus entitled to use Real in their names and the royal crown on their badge. This right was granted to Espanyol in 1912 by Alfonso XIII and the club subsequently became known as Real Club Deportivo Español. However, following the abdication of Alfonso XIII in 1931 and the declaration of the Second Spanish Republic, due to prohibition of royal symbols, the club adopted the more Catalan/republican friendly name Club Esportiu Espanyol. After the Spanish Civil War and the subsequent prohibition of the Catalan language, the name reverted to Real Club Deportivo Español. In 1928, Espanyol became a founding member of La Liga and won their first Copa del Rey the following year. Espanyol has been a La Liga stalwart throughout most of its history with 76 appearances in the first 80 seasons – best 3rd position. The club came close to European glory in 1988 when they beat Bayer Leverkusen 3-0 at home, lost 3-0 away and were pipped 3-2 on penalties in the UEFA Cup final. That was my first week in Barcelona and I nearly took a beating because I was sitting in a bar watching the game and got mistaken for a German – I had no Spanish or Catalan at the time and was forced to shout ‘English! English! English!’ at the top of my voice until everyone turned back to their bocadillos. They’ve qualified for the UEFA a few times since. The club took the Catalan spelling for its name in February 1995. The word “Deportiu” in Reial Club Deportiu Espanyol de Barcelona means sport for fun; while “Esportiu” is reserved to professional sport. The correct word would have been “Esportiu”; because of tradition, “Deportiu” has been kept. After Sarrià closed in 1997 they played at the Estadi Olímpic de Montjuic, which has a capacity of 45,000. The 2009-10 season marked a new beginning for Espanyol. The club moved to its new UEFA-four-star stadium outside Barcelona city centre at Cornellà-El Prat. 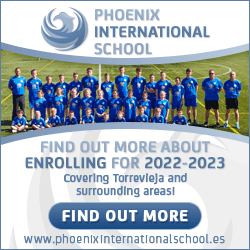 In ex-player Mauricio Pochettino they seem to have found a coach who is fully committed to the club and after just escaping relegation in 2008-09, a clutch of signings meant that a more competive Espanyol opened their new stadium in an optimistic mood. I wish them all the best but for some reason they’re always destined to be Barcelona’s second team. The seasons 2008/2011 are probably best described as consolidation years when they finished 10th,11th,8th. Certainly know they are considered an established La Liga club who most neutrals would expect to find in a top half of the table position. The club’s official web site (in English) is www.RCDEspanyol.cat. Note the .CAT suffix!! Please note you can purchase tickets direct from here. Up to date team news, tickets, shirts and accomodation near the ground are available www.spain-football.org.